As you all know that Stealify is all about collecting all online deals and present at one place for you. Our team is working hard to get some deals which are uniquely for Stealify viewers. We are in talks with many companies to get the best for you. We will be starting a facebook contest as soon as we have 200 fans on facebook. So guys pull your sleeves and get ready for Stealify Facebook contest. Use coupon code PC1589422I3F to get 1000 off. Pay remaining amount. That's it. NOTE: Not valid on Daily deals and combo offers. PETA once again started a new Campaign for Helping animals with a name PETA DISHOOM. They are giving Free stickers and Info regarding helping animals. If you wish to help and save animals then this is for you. If you live in India, fill out the form in below link to receive free stickers and literature from petaDishoom about helping animals. 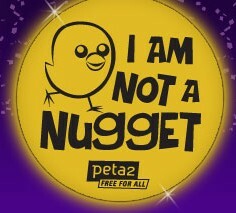 If you live outside India, order free stuff from peta2. And do send “Change Everything” e-card to all your friends and save animals. How to get Free stickers?